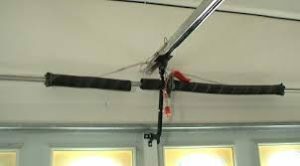 Do you know the importance of garage door springs? When you have trouble with yours, don’t hesitate to contact our company. Garage Door Repair Dickinson can help you put behind any spring issue in a timely manner. Want to replace the broken torsion spring? Can’t figure out why the door won’t open? Our professionals troubleshoot, offer emergency garage door springs repair in Dickinson, and take care of all spring residential needs in town. Whenever you need help with your springs in Dickinson, ask for our assistance. We understand that springs are crucial garage parts. Coil damage will lead to poor door performance. Broken springs won’t let the door move from the floor. When you encounter similar issues, give us a call. We provide Dickinson garage door springs repair residential services as fast as possible. Your job is done quickly and on time, with the proper tools and by technicians with great experience in all types of springs used in Texas. What are the odds of having spring problems? Actually, both torsion and extension springs are designed to last for several thousand cycles – that is how many times you open and close your door. When their lifespan is almost over, their coils don’t have their initial power to move the door. That’s the best time to replace them and avoid the problems caused by broken springs. At our company, we definitely offer emergency broken spring repair but can also prevent issues by replacing your springs a bit earlier. You can trust that garage door spring repair services are done meticulously and on time. Whether you need emergency spring service or casual maintenance, our response is quick because springs enable the good door’s operation. We offer springs adjustment either by adding or releasing tension, and can also lubricate springs and replace their parts. Our technicians can install safety cables and change the damaged torsion spring winding cones, and guarantee fast torsion spring repair. Professional spring services are critical to your safety and good overhead door performance. You can depend on our team in Dickinson, Texas, whether you want garage door spring replacement or adjustment.